In CSS3, one recent addition is the ability to natively specify rounded corners. Now, I am not saying that rounded corners will be overused and result in a similar backlash like so many before it, but it is certainly very cool and trendy today! That is where this tutorial comes in. This tutorial will teach you to be cool and trendy by explaining almost everything there is to know about using CSS to specify rounded corners on your elements. The roundedness of a corner is defined by the radius of the oval it creates. In our example, the radius is 10 px horizontally and vertically! So...to answer our initial question, a rounded corner is one that has a non-zero radius. Could this have been answered more succinctly? Probably. 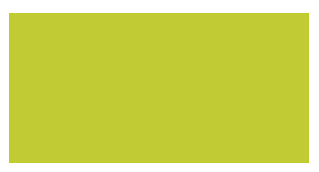 Looking closely at the HTML, the div has an id of mainContent, and a CSS selector of the same name exists to modify its appearance. The styles you will be adding will live inside this selector! 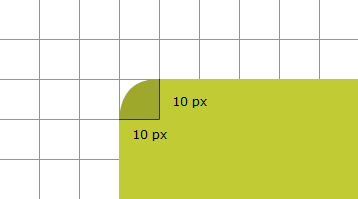 In the above line, I am specifying a radius of 10px that gets applied to all corners. One thing to note is that you do not have to use pixels. You can use any supported unit of measurement such as em, pt, percentage, etc. to define the roundedness of your corner. What I just showed you is how to use the shorthand version of this property in a very simple fashion to specify the corner radius. You can have much greater control if you are willing to dive a bit further. For example, you can specify different corner radii for each corner or customize the shape of your corner itself! Let's look at those cases next. The result of using the expanded properties is the same as using the shorthand, so use whichever form you are more comfortable with. That's all there is to customizing the roundedness of a corner! In the previous sections, I covered the shorthand and expanded variations of specifying the border-radius property. 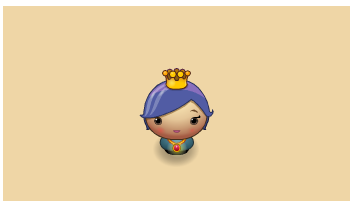 In this section, let's look at some other (valid) ways you can see the same CSS represented. In this example, the vertical radius of the top-left and bottom-right corners is 20 pixels. The vertical radius of the bottom-left and top-right corners is 1 pixel. In this case, your browser will treat the missing fourth value as being the same as the second value! Top-left corresponds to the first value, top-right corresponds to the second value, bottom-left corresponds to the third value, and bottom-right corresponds to the second value. This makes total sense, right? 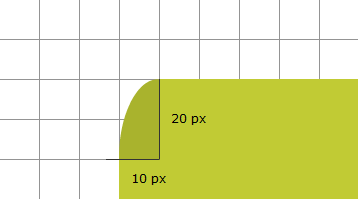 That's all there is to learning about rounded corners in CSS. You can use the border-radius property to round the corners of almost all elements. I mention "almost" because, according to the W3C, this doesn't work on tables whose border-collapse is set to collapse.